My research and experience or the last 8 years on health and nutrition has led me to understand how powerfully certain foods, herbs and spices can impact our health. Certain combinations up the effects through synergy. I have also grown to appreciate that people undergoing treatment often have little energy or mind-space to plan and cook healthy meals. With a compromised immune system proper nutrition, avoiding problematic foods, and eating organic are crucial for recovering health. It’s also important to keep up calorie intake, so patients don’t lose weight, even though their taste buds and appetite might be affected by the treatments. my company, Circle the Table, will offer take-away meals based on an Anti-Cancer diet, for patients in treatment. If you know anyone in the San Francisco Bay Area, who may benefit from this service please forward this to them. Send me a message with your referrals for a thank you gift for every sign up. I would like to open a series of locations to cater to patients when they need the most support, physically and emotionally. Eventually we hope to add a delivery service and an option to book a Reiki healing session at the same time. For years women, children and the elderly have been advised to increase their intake of Calcium through supplements and dairy foods. That statement was not accompanied by a warning that unless you provide your body with th e mechanism to transport that calcium into your bones, it will form calcium deposits. Calcium buildup in soft tissues can cause medical problems. Calcium can accumulate in the arterial plaque that develops after an injury to the vessel wall. Normal deposition of calcium occurs in only two places: bone and teeth. Vitamin K2 appears to be the most important factor in steering calcium into the bone and away from heart valves and the arterial system. Vitamin K is absolutely essential for regulating calcium balance in the body. A deficiency of vitamin K status causes brittle bones and a vascular system that hardens to a state of poor functionality. Based on the plethora of studies published in 2008, vitamins K2 and K3 have also emerged as intriguing agents in both cancer prevention and treatment. In nature, vitamin K is found in two forms: vitamin K1, which occurs in leafy green vegetables; and vitamin K2, which exists in organ meats, egg yolks, dairy products, and particularly in fermented products such as cheese and curd. 1. Beulens JW, Bots ML, Atsma F, et al. High dietary menaquinone intake is associated with reduced coronary calcification. Atherosclerosis. 2008 Jul 19. 2. Schurgers LJ , Spronk HM , Soute BA, Schiffers PM, DeMey JG, Vermeer C . Regression of warfarin-induced medial elastocalcinosis by high intake of vitamin K in rats. Blood. 2007 Apr 1;109(7):2823-31. 3. Tsujioka T, Miura Y, Otsuki T, et al. The mechanisms of vitamin K2-induced apoptosis of myeloma cells. Haematologica. 2006 May;91(5):613-9. We are conditioned by those who make $$millions selling us weight loss products and 'diets' ...to think of the word "Diet" as something different from what we eat each day. Take charge of your health, because only YOU can make a difference. Fisheries in China range from large commercial operations that are much more tightly run down to tens of thousands of small farmers with small ponds. Ditto for Vietnam on a smaller scale. Some of those farmers have used more ‘economical’ methods of feeding their ponds – including feeding the fish waste from other livestock. 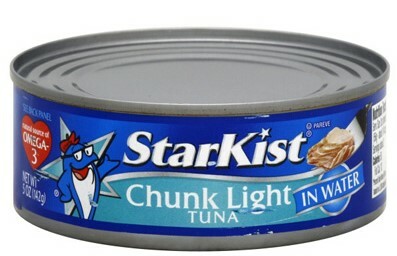 Given that situation, along with some highly publicized contamination incidents, the US FDA has just effectively brought the import of 5 specific types of farmed fish to a screeching halt (basa, catfish, shrimp, eel and dace). Tilapia is a very popular fish in the US, and much of it is farm raised in China. Albertson's recently had a 4-day special of 4 bags of frozen Tilapia for the price of one. Sure enough, the label stated: 'farm raised', and on the bottom in small print it said, 'China '. Birdseye Mixed Vegetables: Carrots, broccoli, baby potatoes, baby cob corn and red diced bell peppers. It said 'Product of U.S.A., Mexico and Vietnam'. The other was a Safeway Market brand: Sugar Snap Peas, whole Baby Carrots & whole Baby Cob corn. 'Product of U.S.A.: Carrots; Product of China: Corn, S.S. Peas. Packaged in Canada'." China is far and away the world's largest garlic producer. In fact, in any given year China produces between 75% and 80% of the world's total garlic production. So far as the fields being fertilized with sewage. I choose to buy local, organic garlic. NOTE: I believe we grow all these vegetables in the U.S. I grow many of them in my backyard. So ask yourself why these companies choose to source their produce from China.. thousands of miles away? I like Trader Joe's for a few things.. but they are one of the worst for frozen veggies which are imported from three different continents. A liquid version Cold FX was found to be contaminated a couple of years ago. So please read labels, if it's not clear where your food is sourced from.. put the item back on the shelf and choose a local, organic brand that is less likely to be sourced from a foreign country. Liver and Kidney Problems Linked to GMO Food? Genetically engineered food has yet to be proven safe. In 1998, the U.S. Food and Drug Administration (FDA) admitted in court that it had reached "no dispositive scientific findings" about the risks of genetically engineered foods. There is no scientific consensus about the risks of eating genetically engineered food, according to a statement last year signed by nearly 300 scientists. The scientists agree that "Concerns about risks are well-founded" and that a "substantial number" of "animal feeding studies and reviews of such studies...found toxic effects and signs of toxicity" in animals fed genetically engineered food, compared with controls. "Some of the studies give serious cause for concern," the scientists write. >> Genetically engineered crops have led to increased use of pesticides. >> Mutating weed resistance is requiring the Monsantos to sell even more powerful herbicides. >> The Big 6 chemical and seed companies are working diligently to monopolize the food system at the expense of consumers, farmers and smaller seed companies. >> Industry is spending lavishly against the food movement. ~~~~~ The above excerpt is from a recent article written by consumer advocate Ralph Nader. It is well worth 5 minutes to read it, and to forward, blog or tweet about it. Every State needs to fight for our right to know what's in the food we eat and feed our children. Fava beans, also known as Broad-beans and very popular in Middle Eastern cooking, are dense with nutrition. Fava beans have no saturated fat or cholesterol and offer a healthy dose of thiamin, vitamin K, vitamin B-6, potassium, copper, selenium, zinc and magnesium. They are also a source of lean protein. Fava beans can be served raw or cooked. The bean pods are usually discarded, but if young and tender you may blanch them before adding to a dish. The beans themselves can be served in their skin if young and tender, or shelled before eating. A serving of cooked or fresh Fava beans can significantly increase your intake of folate, iron, manganese and dietary fiber. This traditional Lebanese recipe is a meal-in-a-pot. It is cooked with home-preserved beef during winter months. You may omit the beef for a vegetarian version. But besides being an excellent cool weather meal, it can be served at room temperature on warm days. Add a vegetable or salad and dinner is ready. Place oils in a 1-1/2 qt. pot over medium-low heat. Wait 3 minutes, then add onions. Turn heat to medium, and cook onions, stirring, until translucent. Add beef and saute, stirring until no longer pink on the outside. Add Fava Beans and rest of ingredients. Turn heat to medium-high and bring to a boil. Cover, and cook on low heat until rice and beans are tender, and liquid is absorbed, about 30-35 minutes. If needed, add a little more liquid, cover and cook until done. Enjoy alongside a fresh green salad served with a lemon-vinegar-garlic dressing. TUCSON, Ariz. (March 25, 2013) - The non-profit Consumer Wellness Center (www.ConsumerWellness.org) has issued a consumer health warning over Adya Clarity, a "detox" product that was seized by the FDA in 2012 and tested at over 1200ppm aluminum. The product is currently being marketed through a series of highly deceptive webinars that claim almost magical powers for the product. In reality, the product is primarily made of metals dissolved in sulfuric acid, and it was imported into the United States using the description "battery acid" on import documents. Adya Clarity's two most prominent metals are aluminum and iron. The manufacturer of Adya Clarity intentionally and deliberately refused to list aluminum on the label, instead listing beneficial trace elements such as magnesium. The marketing of Adya Clarity is based on a parlor trick of pouring an acidic liquid containing dissolved metals into a glass of water, which is more alkaline. The sudden shift in alkalinity causes particles (metals) to appear in the water. This is described by the deceptive marketers as a "cleaning" of the water. Promoters of Adya Clarity, which include Matt Bakos and Kacper Postawski, claim that when the product is consumed internally, it pulls metals out of your body. In reality, the product introduces potentially toxic levels of non-organic iron and aluminum into your body. After missing two weekends, our workers finally showed up last weekend to build raised beds for our organic veggies. J salvaged about 10 - 4" x 12' support beams slated for a seismic retrofit that took a different approach, and saved us hundreds of dollars in wood! Each one was so heavy that after the guys sawed them into 4' and 6' sections, they laid them on wheelbarrows to get them across the yard. Melvin joked that they would last 20 years and nothing was going to be move them. While they worked on the large beds, J built two square beds with Redwood for our organic Herbs. Those two are going under the kitchen window. It took eight hours for Melvin and his partner to build the 9 raised beds. The Herb boxes were done in an hour and a half. So J went on to build the patio I wanted just outside the Greenhouse under the shade of the Walnut. Luckily when we bought the property there were many brick pavers lying around, so he used them all to make this lovely space. On Mother's Day, my son and J and I planted our seedlings that we started a few weeks ago in the greenhouse. Three of my nieces and nephews joined us to Celebrate Mother's Day. I grilled grass-fed, organic hot dogs and zucchini, and made a large salad, a bowl of Baba Ghannouj and J brought home a whole wheat crust pizza. I made grain-free, dairy free Raspberry Brownies for dessert. Afterwards softball and 'orangeball' (poor oranges...) were enjoyed by both participants and observers. This sauce can be used to top pasta, baked sweet potatoes, wild rice or polenta. Heat large pan on medium for 1 minute. Add onions and garlic. Turn heat down to medium-low and stir onions until light brown in color. Add beef and stir to break up into small pieces, until no longer pink. Add spinach, herbs and seasoning. Continue to cook, stirring for 4 minutes. Add oil, tomatoes and water. Bring back to a boil. Cover and turn heat to low. Simmer for 15 minutes. Adjust seasoning to taste. Do you still have any doubts that NO ONE is looking after Consumer Health? Would you agree that a number of products on Grocery store shelves contain ingredients that are making us a sicker nation than ever before? emails between civil servants and the GM industry as they worked together on a media strategy to win over consumers skeptical about so-called Frankenstein Food (genetically modified). Don't be fooled that this isn't common practice in the U.S. Monsanto, and other corporations selling you food contaminated with toxic ingredients, own the politicians who make decisions about what you eat and what you are led to believe is ok to consume. "Details of the emails have been made public after Freedom of Information requests by lobby group GeneWatch, which said the public would be shocked at the level of collaboration. Environment Secretary Owen Paterson has pushed for faster approval of new crops and lobbying for public support. Significantly, he decided to lobby the EU to allow biotech crops to be planted in Britain even if they are banned elsewhere. ...Often these exchanges coincided with major announcements by ministers which shifted Government policy to support GM, despite clear opposition among consumers." PLEASE Stand up for your right to know what's in your food. STOP buying GMO'd foods and produce tainted with pesticides and antibiotics! Our health and that of our children is being compromised daily in the name of profits. That's what emboldens policymakers and lobbyists to push their agendas through.. if no one objects, no one is accountable. It's one of the prime reasons our 'food' is in the state it's in today...processed, full of synthetic additives, non-organic, and nutrition-devoid. Champions of organic food brought the National Organic Standards Board (NOSB) meeting to a halt on Tuesday as they raised their voices against what they see as the takeover of the organic standards by the corporate food industry. The NOSB—an advisory board to the USDA and designed to represent farmers, consumers and other advocates of organic food—is charged with overseeing organic standards and presenting recommendations to the federal government. In recent years, however, critics charge the quality and integrity of the national organic standards set by the NOSB have been eroded by the influence of a large agricultural interests and powerful corporations in the food industry. In order to delay the opening of a four-day meeting in San Antonio, Texas, demonstrators stood at the front of the conference room displaying a banner which read: "Safeguard Organic Standards." Tuesday's protest, organized by the Organic Consumers Association (OCA), was held to draw attention to what the group is calling the "last straw" in the corporate-backed erosion of organic standards: a recent change to what is known as the "sunset process," which determines the synthetic ingredients that are permitted in organic foods. Mark A. Kastel, co-director of The Cornucopia Institute stated, "agribusiness" and corporate food companies "had their minions at the U.S. Department of Agriculture" change the rules in order to push "gimmicky synthetics and nutraceuticals in organic food." One protester, Alexis Baden-Mayer, the political director for OCA, refused to disperse and was eventually placed under arrest and carried out. "People don't have time to follow the wonky policy decisions, so it's easy for standards to be eroded without them knowing about it." The 'sunset process' required that non-organic food materials approved by the NOSB for use in organic foods—such as sausage casings from factory-farmed animals, synthetic vitamins, and the antibiotic streptomycin—must be reviewed every five years. Unless re-approved by a two-third majority vote, the items would be dropped from the list. Please get involved to protect our children's world and health! Somehow, our culture manages to peddle both tanning salons, and wrinkle cream. We desperately seek longevity, while raising children potentially subject to a shorter life expectancy than their parents. We hang on every headline hinting at more years in life, and let the established means of adding life to years, and defending our native span, slip through our fingers. We have known since 1993 at least that fully 80% of all premature death is preventable by means at our disposal. We have known that lifestyle is the best medicine, and no new Nobel prizes are required to put it to constructive use. We have known that the master levers of medical destiny are not SPECT scans or surgical robots, but our feet (physical activity), forks (dietary pattern), and fingers (not holding cigarettes). We have known that by appending to those three just three more priorities- adequate sleep, stress management, and the cultivation of strong social connections (abbreviated as “love”)- we augment further the already incredible potential to promote health and prevent disease. We have known that the causes of our modern ills, extracting both years from our lives and life from our years, are not really the chronic diseases that populate death certificates - heart disease, cancer, stroke, diabetes - but the factors ostensibly under our daily control that are the causes of these effects. And we have known for some years as well that even our genes react to the choices we make. In this epigenetic age, we know that DNA is not destiny, while to a meaningful degree - dinner is. We have known much, but done relatively little. Knowledge is not power if its use is neglected. > > Full article here. While she got the necessary tubes together for my blood draw, we chatted easily. I have routine blood tests done every 4 – 6 months, and over the last 2 years Gwen and I had become fond of each other. She was complaining again about body pain and her digestion acting up, and how the stress of working at the lab was becoming almost too much to handle. Gwen is about 45, divorced, is overweight and due to childhood and young adult experiences, doesn’t really believe she deserves good things to happen to her. This sounded very familiar to me. During my life, I’ve met several people very much like Gwen. Our families aren’t always what we would have wished for, events in our lives leave a stamp that for many of us are difficult to erase or get past. Gwen has a lovely face and a sweet smile. She has a sense of humor; life necessitated she develop one. I like her very much. I decided to take a leap of faith that she was telling me about her situation as a subtle request for help. She knew I had consulted with several prominent integrative doctors, and was curious about what I had learned since some of the blood tests I request are uncommon and had to be looked up. I told her to please try to eliminate sugar and as many carby foods from her diet as possible for just 2 weeks. I asked what vegetables she liked, and she laughed knowing I was going to disapprove of her answer.. “Lettuce?” she offered. “And…?” I wasn’t going to be put off by her attempt at diverting me with humor. When she was done drawing my blood, I spoke to her about the dangers of chronic inflammation and told her that I would come back in a couple of days with an antioxidant scanner I borrow from a doctor-friend to test her. I also said that if she wanted me to try to help her get better, I would need a promise that she would follow what I suggest… else I’d be sending her out to look for a stick. She smiled at me with an intense expression in her eyes. The expression told me that no one had cared enough to offer to help her before, and that she was scared about what may be going on with her health. She said it would depend on how many patients they had and how many other staff were around, to call first. Two days later, I showed up with the scanner. Two of Gwen’s colleagues, whom I also knew, wanted to get scanned as well. Their results were borderline, they could be eating healthier. Needless to say, Gwen’s results were very bad. Her immune system was overtaxed and weak. “Did I flunk?” she asked jokingly. She looked at me quietly and nodded. “What would I bring?” she asked me with a blank look. “Berries, a hard boiled egg, a gluten-free slice of healthy bread with hummus or a salad. Go to my website and browse around. Choose things to make only from there until I can give you some cooking lessons… and let’s see what happens in a couple of weeks. “Can you afford to buy this antioxidant-mineral supplement for a couple of months?” I showed her the one I recommended. The cost was around $70/month, and she said she couldn’t swing it. I told her to buy three of the critical anti-inflammatory supplements.. for around $35. I texted her a couple of times during the next few weeks to see how things were going. She wasn’t very forthcoming with details… but I didn’t want to push her. I knew that for Gwen, eating was part of her emotional world. I went through that after my sister, and then my brother-in-law passed barely 24 months apart. I gained almost 20 lbs that I wasn’t able to shed until I had to change my lifestyle for my own health reasons. It's not news to anyone that when we feel lonely, and unloved or unlovable, food is a source of solace. And not just any food, but foods that give us the necessary blood sugar high. So we gravitate to baked goods, cookies and sweets or rich foods. And after we’ve indulged we either feel bad, or act like it’s not a big deal, but in reality knowing that it is. I used to think to myself, “Well, I’m already 20 lbs too heavy, half a pound more isn’t going to make a difference.” But half a pound more every week or two did make a difference. I had low back pain, I hated that when I sat down I had two rolls of fat around my waist. When I was dating, I would wear tops that hid my mid-section… and yet, I couldn’t control what I figured could be the problem. Funny thing is that I was aware of proper nutrition and healthy foods. I am a chef after all, and fed my children well-rounded meals and very little junk. So I hardly ever ate fried or creamy foods, or too many sweets.. but bread, cheese and rice were part of every day’s fare. And even though accompanied by many vegetables and salads, they have their effect. So I lulled myself into believing I was eating right, and it was due to me being in my mid-forties that I couldn’t lose weight. I didn’t exercise, except for dancing now and then, and doing Pilates occasionally. Gwen had larger emotional scars than mine, so I cut her some slack, but I knew she had to do something soon before her body gave in to whatever was brewing. When I returned for another set of blood tests 6 months later, Valerie greeted me. “Where’s Gwen?” I asked. “Don’t you know? She’s been out for a week.” she replied. I felt like I let Gwen down. I had tried, but when you feel someone just can’t go it alone, and the only way they can make a drastic change is to have you there to coach and cheer them on every day, it’s hard to know what to do. At one point, I was going to offer her our garage conversion to come live in, at least for a few months while she taught herself a new way of thinking, eating and living. But there was no way she was going to leave her home, and I never brought it up. I guess I just hoped she could find the resolve to start making a change. When she told me about some of the devastating experiences she had as a teenager and young adult, I said that I had been sent into her life for a reason then, because with the right perspective she could let go of all that pain and realize she is not the person she was then, and if it were not for this thing we call ‘memory’, she would be a shooting star! We are all a little like Gwen in some way. We all talk ourselves into accepting situations, or habits that span years as ‘normal’, and harmless. I mean, if you’ve been eating badly for 12 years and other than the weight gain, or occasional aches and pains, or headaches, or skin conditions, you’re ok.. well, what’s the problem? We keep on trucking in the same groove until one day, like Gwen, like me, BANG! Something unexpected suddenly happens.. a lump, a fainting spell, chest pain, an abnormal blood test. Gwen knew things were bad. Gwen knew her body was breaking down. Why couldn’t she, why can’t we, stop ourselves from being stuck in same pattern? Why is it necessary for so many to hit the wall before embracing behavior that is good for health and well-being? I’ve always been curious about that psychological barrier we all struggle with. When I called Gwen, do you know what the first thing she said to me was? Gwen was waiting to hear back on a number of tests. She was weak, and in bed most of the day. I asked her to start eating certain foods, and to send her daughter out to get the 3 supplements we talked about. She promised to do so. I said, “Think positive and watch happy uplifting videos while you’re laying around. And no matter what the results are, remember there are numerous options for treatment out there, and I would be happy to refer you to the right person once we know what’s up. I will be calling her again this weekend. She didn’t call to tell me about the test results 3 weeks ago, so not sure there is a diagnosis yet. Don’t be another Gwen. Only YOU can reduce your risk and improve your health. Being 20+ lbs overweight is the gateway to a host of inflammatory diseases. Our body can’t handle processing all the toxins we’re exposed to in the world, plus the preservatives in processed foods and personal products, plus the pesticides on non-organic produce, plus the effects of smoking or drinking alcohol or eating too many carbs. Living with environmental pollution alone overtaxes our liver and kidneys, and they’ll try to hum along for as long as they can.. but pile on all that other stuff and we’ve created a recipe for disaster. It’s a hard journey back to health once it’s lost. We are victims of the hundreds of food manufacturers that spend billions to create flavors and textures that will hook us to their nutrition-deficient products. I believe you can stand up and find your strength. If you struggle, find a friend or family member who will actively support your effort to make a change. Limit yourself to eating only foods you cook according to healthy guidelines, or look up recipes on this blog. You can also contact me, and together we’ll devise a plan that will work for you. More than anything in the world, I wish for you a long and healthy life. Are You at Risk? Find Out in a Minute. Metabolic syndrome is a precursor to diabetes, kidney disease, cancer and coronary artery disease.. and its symptoms are silent.. elevated blood pressure, insulin abnormalities, high cholesterol, and albumin in your urine. However, there is an easy way to find out now. Belly fat is both unsightly and harmful. This particular fat secretes a steady stream of chemicals that kindle inflammation throughout the body, damaging the lining of arterial walls, including the coronary arteries and blood vessels in the kidneys.If you are at risk, have your doctor run the necessary blood tests. We've now learned very clearly that we can't blame our 'genes' for our current or future health. What we are doing right now will decide our health in the next 5, 10, or 20 years. This isn't some mystical, vaguely probable statement. What you are eating, and how you are living right now WILL determine if you live a healthy life or not... and could determine how long you live. Growing up in a Mediterranean country influenced my eating preferences in such a way that I consumed more veggies and grains than the Average American. If there wasn't' a protein, a carb, a veggie dish and a salad at the table, my table was not complete. I did indulge in sweets, ate a lot of cheese and yogurt, and occasionally would include fried foods to my diet. As I got older I tried to curb the sweets and fried foods. I have never been into rigorous exercise, preferring walks and dancing. Then stress took over for a few years. I got divorced, lost a sister to cancer, a brother in law two years later, got laid off after 14 1/2 years, and opened a Cafe in 2010 that needed my full-time presence 6 days a week. A life lesson awaited me. I no longer have the luxury of dilly-dallying about what I should or shouldn't eat. It's all very clear, very black and white. I don't cheat because I can't afford to. My food, like your food, is my medicine. Had I been on my current diet all those years, and taken the right supplements, I feel in my heart that I would have avoided this specific experience. The lesson would have come packaged some other way. Don't get me wrong, I am grateful for the learning and tremendous eye-opening experience. It has now given me the ability to be of service to others going through Cancer, or wanting to do whatever it takes to help prevent it. A gift. But please don't wait to have such a reason to take a good look at what you eat, and what your diet may be doing to your body and immune system. “The amount of antioxidants that you maintain in your body is directly proportional to how long you will live.” - Richard Cutler M.D., Director Anti-Aging Research, National Institute of Health (NIH). “Scientists now believe that free radicals are causal factors in nearly every known disease, from heart disease to arthritis to cancer to cataracts. In fact, free radicals are a major culprit in the aging process itself. By controlling free radicals, antioxidants can make the difference between life and death, as well as influence how fast and how well we age.”- Lester Packer, Ph. D.- Head of the Packer labs at the University of California at Berkeley. Dr. Packer, author of The Antioxidant Miracle, is regarded as the world’s foremost antioxidant research scientist. If you are not including 6 - 7 servings of a large variety of organic high-antioxidant fruits and vegetables in your daily diet, limiting fats and protein, and avoiding simple carbs entirely, you are not reaching the optimal disease prevention state of health. This may sound like a tall order, and because I know there may be days when I may not reach my goal, I take bio-available, pharmaceutical grade supplements that support my antioxidant and essential vitamin levels. There was a time when humans ate to live. Those days are gone for most of us. Unfortunately, we've taken the 'eating for pleasure' too far. We are now surrounded by foods and food products that have very little to do with nutrition and good health. We are lured to create recipes that tantalize our taste buds and deal our bodies bolts of stress and inflammation. Sugar, cream, butter, white flour, vegetable oils, frying, meats, canned foods, preservatives, food coloring... all stress the body, all lower antioxidant levels. “Antioxidants can cut your risk of heart disease up to 70%, diabetes 40%, lung cancer 30%, and breast cancer 20% studies show. Many leading authorities now urge all adults to take a daily supplement." USA Today, January 18th, 2004. Don't wait for symptoms to make a change, don't wait for a call from your doctor with test results, make the choice to eat your way to good health now. Please make the decision to start the path to optimal health today. This website is dedicated to helping you do so. Every recipe here follows the optimal disease prevention diet. If you decide you need help of any kind, contact me. Whether it's meal planning, supplement questions or recipe requests! Is your good health worth the sacrifice of convenience, habit and indulgence? Blood Sugar and Weight Loss Support in a Bean? A friend of mine told me about green coffee bean extract a few weeks ago, and I have finally found a minute to do a little research. My sister who lives in London, and my older brother both have Type II Diabetes. I am always looking for natural ways one can keep blood sugar levels in line, because sometimes we all cheat on our diets! I posted the list of Foods that Help Lower Blood Sugar, so add this to them. There are two major types of coffee plants; Arabica and Robusta. The highest quality green coffee bean extract comes from the Arabica plant which is higher in the polyphenol anti-oxidants chlorogenic and caffeic acids. The majority of coffee drinkers are missing out on much of the benefits that coffee contains. The deep roasting process significantly reduces the anti-oxidant content. Additionally, coffee is one of the most widely pesticide/herbicide sprayed crops in the world. Studies have shown over 1000 toxic chemicals in roasted coffee. It is essential to use organic coffee that is free of these dangerous chemicals that mimic hormones, congest our liver, kidneys and bowels and promote cancer growth. Another powerful carcinogen is produced when high temperature cooking (baking, frying & roasting) damages sugars which then interact with the amino acid asparagine. This chemical reaction creates the potent carcinogen acrylamide. Instant and deeply roasted coffee has been shown to have significantly more acrylamide than brewed coffee. There are many great health benefits associated with coffee consumption. A recent 2011 study indicated that individuals who consumed the most coffee had the lowest risk of type II diabetes. The researchers found that the chlorogenic acid reduces the release and creation of excess glucose in the body. Blood sugar balance is an absolutely critical measure of healthy aging in the body. Too much sugar and grains in the diet will lead to blood sugar imbalances. The body then goes through spirals of hyperglycemia and hypoglycemia. These blood sugar imbalances cause inflammation in the body that damage hormonal control systems, organs, and immune function. Glucose overload is another major cause of blood sugar imbalances. The common sign of this is elevated fasting blood sugar levels. At night, the individual has elevated glucose-6-phosphatase (G6P) enzyme activity that causes an elevated release of blood sugar from the muscle and liver. The body is basically eating these tissues. The latest evidence shows that healthy fasting blood sugar ranges are between 65-85 mg/DL. Meanwhile, post meal ranges (2 hrs after) should never go above 120 mg/dL. When levels test higher it is a clear indication of oxidative stress damaging cells and tissues of the body. Stable blood sugar allows for better energy, mental clarity, hormone function, detoxification capabilities and weight loss. Raw green coffee bean extract along with other superfoods such as cacao and cinnamon all show great results in stabilizing blood sugar and improving overall bodily functions. 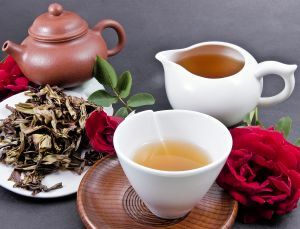 The combination of these three also synergizes to create even greater effects in the body. Due to the diuretic effects of caffeine in the coffee it is necessary to consume extra water. The water should ideally be from a natural spring or have gone through a deep filtration process to remove environmental toxins. There are many reasons you may not be losing weight. If you started lifting weights, then chances are you are building muscle, which would negate any fat loss. This is good because muscle burns more calories than fat, so chances are you’ll see nice weight loss results down the road. Second, if you do not sleep enough or aren’t eating enough, your body’s metabolism will slow down, negating the powerful weight loss properties of green coffee extract. Women should eat at least 1,200 calories per day and men should eat at least 1,500 calories per day. Third and finally, the most likely culprit is that you’re still eating too much. Studies have shown that humans tend to under-estimate their caloric intakes by 25-40% on a normal basis. Therefore, you could be eating 300-600 calories more per day then you think you are. Another likely culprit for overeating is due to emotional eating. Dr. Oz recently tackled this problem that affects a large percentage of the population. You see, when we are sad our dopamine levels are significantly lower. To increase these pleasure chemicals in our body, we eat junk foods, which have chemicals designed to increase these dopamine levels. To combat this, Dr. Oz recommends taking saffron extract, a natural extract from a flower grown in tropical regions. Saffron extract replaces the dopamine levels you are lacking, which prevents you from snacking on unhealthy foods. WebMD article: Green Coffee Beans May Aid Weight Loss (click on Title). CAUTION: If you have hypertension, or a medical condition that cautions against the consumption of Caffeine, do not take this product. Always check with your doctor before starting any Supplement. It's important to remember that Supplements are powerful, which is why we take them of course. But what we don't often think about is their potential interaction with prescription medications we are also taking. Based on the meds I am taking, my MD probably couldn't tell me what Supplements to avoid, unless they were obvious ones. Do your research! Supplements can increase the effect of some medications or inhibit the effectiveness of others. They may interact in a way that is less than desirable, so it's important to tell you doctor when you are thinking of adding supplements, and if she/he isn't sure about interactions, turn to the a reliable internet source, or better yet, an Anthroposophic or CAM practitioner. Below is a list of some common Supplements and possible interactions. When taken by mouth, aloe latex is a type of laxative called a stimulant laxative. Stimulant laxatives can decrease potassium levels in the body. Low potassium levels can increase the risk of side effects of digoxin (Lanoxin). Taken orally, aloe vera may also interact with blood sugar-lowering medicine used to treat Diabetes. This supplement contains chemicals that can speed heart rate and increase blood pressure to dangerous levels. There have been reports of fainting, heart attack, and stroke in healthy people after taking bitter orange supplements alone or combined with caffeine. People should avoid taking bitter orange supplements if they have a heart condition or high blood pressure, or if they are taking medications (such as MAO inhibitors), caffeine, or other herbs/supplements that speed up the heart rate. Ginkgo biloba interactions include bleeding when combined with Warfarin, raised blood pressure when combined with a Thiazide diuretic and coma when combined with the anti-depressant Trazodone (Desyrel, Oleptro, Beneficat, Deprax, Desirel, Molipaxin, Thombran, Trazorel, Trialodine, Trittico, and Mesyre). American ginseng has been reported to decrease the effectiveness of Warfarin (Coumadin). Decreasing the effectiveness of warfarin (Coumadin) might increase the risk of clotting. Do not take American ginseng if you take warfarin (Coumadin). American ginseng might stimulate the body. Some medications used for depression can also stimulate the body. Taking American ginseng along with these medications used for depression might cause side effects such as anxiousness, headache, restlessness, and insomnia. Some of these medications used for depression include phenelzine (Nardil), tranylcypromine (Parnate), and others. American ginseng might decrease blood sugar. Diabetes medications are also used to lower blood sugar. Taking American ginseng along with diabetes medications might cause your blood sugar to go too low. Monitor your blood sugar closely. Medication dose might need to be changed. Some medications used for diabetes include glimepiride (Amaryl), glyburide (DiaBeta, Glynase PresTab, Micronase), insulin, pioglitazone (Actos), rosiglitazone (Avandia), chlorpropamide (Diabinese), glipizide (Glucotrol), tolbutamide (Orinase), and others. 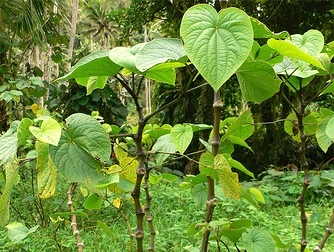 In March 2002, the U.S. Food and Drug Administration (FDA) issued an advisory to consumers of the potential risk of severe liver injuryfrom the use of dietary supplements containing kava (also known as kava kava or Piper methysticum). Reports from health authorities in Germany, Switzerland, France, Canada, and the United Kingdom have linked kava use to at least 25 cases of liver toxicity, including hepatitis, cirrhosis, and liver failure, prompting some of these countries to remove kava from the market. Avoid driving and operating heavy machinery while taking kava because the herb has been reported to cause drowsiness. People with heart disease or high blood pressure should be cautious about using licorice. When taken in large amounts, licorice can affect the body’s levels of a hormone called cortisol and related steroid drugs, such as prednisone. Pregnant women should avoid using licorice as a supplement or consuming large amounts of licorice as food, as some research suggests it could increase the risk of preterm labor. Melatonin might cause sleepiness and drowsiness. Medications that cause sleepiness are called sedatives. Taking melatonin along with sedative medications might cause too much sleepiness. Some sedative medications include clonazepam (Klonopin), lorazepam (Ativan), phenobarbital (Donnatal), zolpidem (Ambien), and others. The body makes melatonin. Birth control pills seem to increase how much melatonin the body makes. Taking melatonin along with birth control pills might cause too much melatonin to be in the body. Some birth control pills include ethinyl estradiol and levonorgestrel (Triphasil), ethinyl estradiol and norethindrone (Ortho-Novum 1/35, Ortho-Novum 7/7/7), and others. Caffeine might decrease melatonin levels in the body. Taking melatonin along with caffeine might decrease the effectiveness of melatonin supplements. Melatonin might increase blood sugar. Diabetes medications are used to lower blood sugar. By increasing blood sugar, melatonin might decrease the effectiveness of diabetes medications. Some medications used for diabetes include glimepiride (Amaryl), glyburide (DiaBeta, Glynase PresTab, Micronase), insulin, pioglitazone (Actos), rosiglitazone (Avandia), chlorpropamide (Diabinese), glipizide (Glucotrol), tolbutamide (Orinase), and others. For Full list Click Here. Warfarin (Coumadin) interacts with VITAMIN K: Vitamin K is used by the body to help blood clot. Warfarin (Coumadin) is used to slow blood clotting. By helping the blood clot, vitamin K might decrease the effectiveness of warfarin (Coumadin). Be sure to have your blood checked regularly. The dose of your warfarin (Coumadin) might need to be changed. Yohimbe has been associated with high blood pressure, increased heart rate, headache, anxiety, dizziness, nausea, vomiting, tremors, and sleeplessness. Yohimbe can be dangerous if taken in large doses or for long periods of time. People should not combine yohimbe with MAO inhibitors as effects may be additive. Yohimbe should be used with caution when taken with medicines for high blood pressure, tricyclic antidepressants, or phenothiazines (a group of medicines used mostly for mental health conditions such as schizophrenia). Women who are pregnant or breastfeeding should not take yohimbe. FDA notified consumers and healthcare professionals to discontinue use of three Zicam Nasal Gel/Nasal Swab products sold over-the-counter as cold remedies because they are associated with the loss of sense of smell that may be long-lasting or permanent. The FDA has received more than 130 reports of loss of sense of smell associated with the use of the three Zicam products. In these reports, many people who experienced a loss of smell said the condition occurred with the first dose; others reported a loss of the sense of smell after multiple uses of the products. Conversely, if you are taking any of the following drugs, see cautions below. Aspirin DEPLETES Folic Acid, zinc, potassium, vitamin C and iron. Avoid higher doses of the following if you take Aspirin. Vitamin E,. Bromelain, Garlic, Ginger, Magnesium, Ginkgo, all which act as blood thinners and thus could cause bleeding. 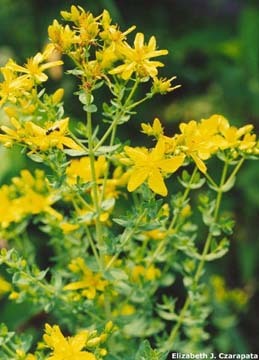 Avoid any herbs that act as a sedative, like Kava Kava, Lemon Balm, Calif. Poppy, St. John's Wort or Valerian. Exception: Melatonin. This also DEPLETES Zinc, which could lead to an increase in blood Copper levels and foster cancer angiogenesis and progression. Zinc supplements are encouraged if taking this medicine. Statins DEPLETE CoQ10, a nutrient needed for healthy muscle, heart and brain function. AVOID Red Yeast supplements with this drug. Take Fiber supplements 1 - 2 hours away from this med to avoid reducing its absorption. Niacin taken in large doses with this drug has been reported to cause potentially serious muscle disorders. Bu taking a low dose (500mg) actually enhances the effectiveness of the Statin drug. IT may also be beneficial to take Vitamin E with this drug to prevent the possibility of oxidative damage to LDL cholesterol. DEPLETES CoQ10. Supplementation is recommended. If you read my post entitled Power Breakfast Ideas, then you know that thinking about meals and what to eat during cancer treatment is a difficult task. Besides your emotional and physical reaction to the changes taking place, your mind just isn't capable of adding yet one more thing to worry about. Ideally, someone can help you with meal prep a few days a week. If not, below are some easy ideas to help you ensure you're getting the necessary nutrients during or after treatment, to build your immune system and boost your energy. Click here to be taken to the Fantastic Foods section under Diet and Nutrition for more ideas on what to eat! I hope this Power Lunch Guide is helpful to you. Sardine or Salmon Salad Nicoise: romaine, arugula, endive and radicchio greens, 3 oz. wild caught cooked salmon, or 3 sardines, tomatoes, red bell pepper, lightly steamed green beans, sunflower sprouts, avocado and apple cider vinaigrette or lemon juice and olive oil. Hoda’s Garbanzo Bean Salad: 1 cup cooked garbanzo beans, 1/4 c. cooked organic brown rice, ¼ c, chopped scallions, 2 Tbs. chopped red onion, ¼ c. chopped tomatoes, 1 Tbs. each chopped basil, mint, parsley and ½ - 1 tsp. chopped jalapeno pepper, Season with a little salt, juice of 1 small lemon and 2 Tbs. extra virgin olive oil. Tabbouleh Lunch: (click here for my recipe) and ½ baked acorn squash, small organic greens salad or steamed greens flavored with garlic powder and a squeeze of lemon (swiss chard, kale, spinach, beet greens). Bison Burger: Organic grass-fed bison or beef burger (scant 1/4 lb) topped with ripe tomatoes or tomato paste, lettuce, red onion and sprouts; serve with sweet potato oven-fries sprinkled with pepper & garlic powder. Add a side salad of organic greens and chopped apple with a lemon, garlic, olive oil dressing. Whole Grain Pasta Salad: Use buckwheat or kamut pasta; add chopped veggies, parsley, basil, garlic. Heat enough tomato paste and water to make a sauce, adding oregano, basil, garlic powder, black pepper, a little sea salt and olive oil. Tempeh Fingers: Marinated strips of tempeh wrapped in steamed chard leaves, with a baked sweet potato or yam topped with a mixture of 1 Tbs. flax oil, 1 Tbs. nutritional yeast 1 Tbs. chopped chives or green onion and shredded rice/ almond cheese. Vegetable Curry: Curried veggies over 1/4 c. organic brown basmati rice or faro, cooked in green tea. Serve with a cucumber, mint and tomato salad. Vegetable or ‘Free-Range Chicken’ Burrito: Mix cooked chicken or roasted veggies with organic pinto or black beans, a little brown rice, salsa and/or guacamole in a Whole Wheat tortilla. Pacific Brand Organic Soup: In a pinch these can be used as a base (tomato, butternut squash, and mushroom varieties). Add your favorite veggies, beans or whole grains. During treatment, one of the last things you feel up to doing is thinking about what to eat. You already know it's critical that you alter your diet if you haven't yet, but to call upon mental resources to focus on cooking the right things is a challenge. I am blessed that many family members live within 1 - 10 miles of us, so three of my nieces took it upon themselves to rotate weeks and cook 2 main dishes for me (compliant with my diet), which they delivered the 3rd day after each Chemo treatment...when the side effects manifested! They made enough so that I got at least 4-5 meals out of each delivery. Breakfast was easy once I got into the habit of shopping for the groceries I would need early in the week, (either my daughter or Jon would replenish fresh produce as we ran out), and developed a few routine favorites. Lunch and snacks depended on what I had in the fridge or the pantry, so I was sure to stock healthy, easy to prepare foods...Sardines, organic beans, hi-fiber bread or RyeVita crackers, salsa, baby carrots, spinach, lemons (for squeezing in tea and on almost anything), almond butter, organic fruit spreads, coconut milk, homemade hummus, avocados and nuts. I'll post some ideas for these two meals soon. Remember that you are eating to both support your immune system and to boost your energy during treatment. Spice up your food to instantly add antioxidants. To help you develop the knack of easily creating healthy breakfasts, or for someone who may prepare them for you, I put together the Power Breakfast Guide below. Be generous with the use of spices you like in any of these breakfasts. Berry Oats: ¾ c. of organic oats, 1 cup blueberries, blackberries, raspberries or sliced strawberries, 1 Tbs. chopped almonds or pecans, 1 Tbs. freshly ground flax seeds, coconut or cashew milk, a sprinkle of nutritional yeast and cinnamon. Add cup of Matcha* or Sencha green tea (buy in bulk on Amazon). Parfait: 6oz. of organic soy or coconut yogurt, 2 Tbs. fresh ground flax meal, and 1 cup organic berries (blueberries, cherries, raspberries, blackberries, mulberries..), a slice of gluten free hi-fiber toast with a tsp. of Coconut Oil, and a cup of matcha or sencha green tea. Jeanne's Special: One or two boiled organic hi-omega-3 eggs with 1/2 cup steamed spinach, kale or swiss chard and 1/2 cup rosemary-baked sweet potatoes, cup of green tea. Tasty Lebanese Eggs: Poach 1 or 2 organic hi-omega-3 eggs. Mix 2 Tbs. tomato paste, dash of salt, and 1 Tbs. hot water and stir. Finely chop 1-2 fresh organic garlic cloves and lightly sauté in 2 tsp. ev olive oil on medium low heat, until pale golden. Add tomato paste and stir. Top poached eggs with tomato mixture and sprinkle with black pepper. Serve with 1 hi-fiber piece of toast, 1 c. fresh spinach or a handful of watercress and a cup of green tea. Mediterranean: Whole grain toast topped with 1 tsp. flax or hemp oil, 1 clove garlic crushed with a dash of salt and 1 tsp. nutritional yeast, cucumber, basil and fresh tomato slices, and a cup of green tea with dash of black pepper. Oats n Apples: 3/4 c. Organic steel-cut oats with grated red apple (with skin), 1 Tbs. chopped almonds or walnuts, 5 - 6 organic raisins, 1 Tbs. flax seeds freshly ground, cinnamon and coconut milk. Remember your tea! Miso-Veggie soup: (miso, spinach, bok choy, mushrooms, tamari, scallions), and 1 slice of whole-grain rye-flax toast with almond butter, cup of green tea with dash of black pepper. Breakfast Burrito: Fill a whole wheat or gluten-free high-fiber tortilla with 1/2 cup black beans, chopped romaine lettuce, chopped green onion, avocado slices, salsa, grated home-made Almond cheese and a chopped boiled egg. New Yorker: Hi-fiber Rye bread or mutli-grain topped with tofu sour cream, smoked salmon, red onion and organic lemon slices, and 1/2 cup steamed green beans. Don’t forget your green tea with dash of pepper! Tofu scramble: cook silken tofu with grated carrots and zucchini, mushrooms, spinach, garlic and a dash of cumin, or do the same with scrambled hi omega-3 eggs, and 1 slice whole grain toast topped with "better butter" (mix equal parts organic grass-fed butter/flax oil). CheeseyToast: Toast 2 slices hi-fiber Flax Seed bread (like Udi's) topped with sliced cassein-free Almond cheese, tomato slices and a sprinkle of organic thyme. Serve with 1/2 c. steamed Spinach drizzled with olive or flax oil and a dash of salt and cinnamon. Cup of Matcha tea.